The Washington D.C. Lifestyle Hotel Group, Modus Hotels, develops, owns and operates a portfolio of hotels and restaurants in Washington DC, Philadelphia, Baltimore and beyond. Designed for the independent-minded traveler, each hotel in the collection offers a unique experience for those seeking an alternative to the predictability of ordinary hotels. In 2013, Jess Glebe Design created a cohesive brand system for Modus Hotels—including logo design, stationery, promotional materials, signage, and various print and sales collateral for its eleven hotels. Since the launch of the Modus Hotels rebrand, Jess Glebe Design has completed logo redesigns for seven of the hotels within the Modus brand, including identities for: The Windsor Suites, Brookshire Suites, Hotel Hive, Avenue Suites, The River Inn, One Washington Circle Hotel, and The Normandy Hotel. 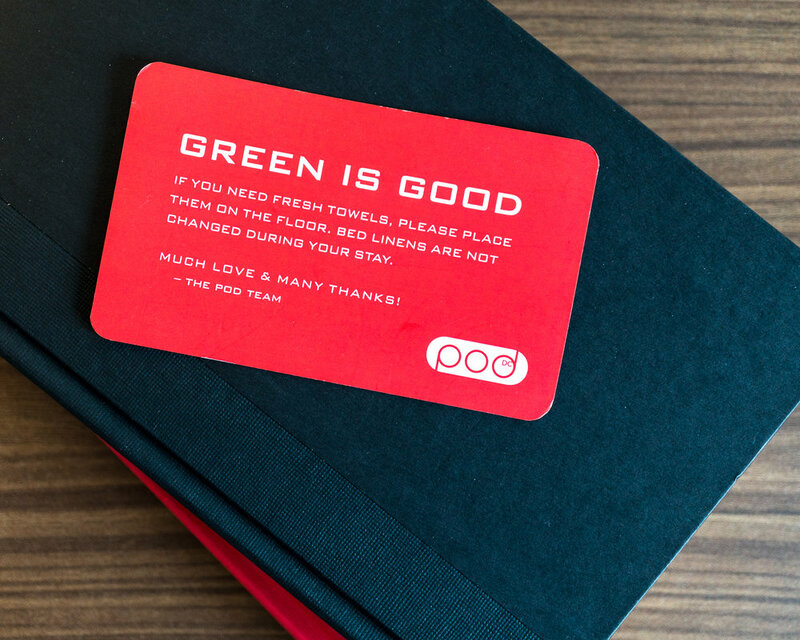 Crimson Logo Design Applied to exterior signage for the pod dc hotel. Signage by NeonFiveDesign.com.